Every Edel Golf club is built from the ground up. Literally. Over the past two decades, David Edel has had the opportunity and luxury to collaborate with the game's best instructors in the development of our equipment. It's where our best ideas come from. When you spend your life on a practice facility you know what players need. Edel Wedges come in 8 different bounces, from lowest to highest degree of bounce. That means that Edel makes a wedge that fits your unique swing profile. Whether you classify yourself as a "digger" or a "sweeper", a "picker", "nipper" or "trapper", no worries. After lengthy study, Mike determined that the cause was the club. 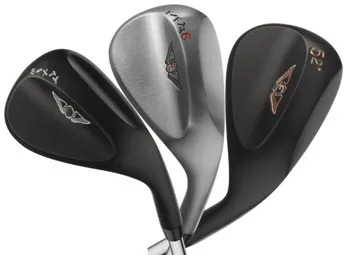 In the golf industry's attempt to create a solution for tight lie shots they mass produced wedges that did not have enough bounce for most players. No other clubs in your bag interacts with the ground like your wedge, it's where you can be the most creative. Edel Golf has created a proprietary fitting system for wedges, much like it has for putters, to insure you are playing with the proper amount of bounce, and can hit the shots that lead to lower scores. Simple? "Yes." Ability to manufacture by the hundreds of thousands? "No." Edel Golf is not just about designing and milling the best feeling, best performing high-end putters in the world, but it is a process of carefully fitting each golfer one at a time. After the fitting process is complete, you will own a truly custom putter ideal for your game. ?Edel premium putters are precision milled instruments made from only the best quality materials in the world. Edel custom putters are currently in the hands of top professionals and serious golfers all over the world. The first step is to assess a golfer's aim. The golfer aims at a small laser projector that looks similar to an actual golf hole. 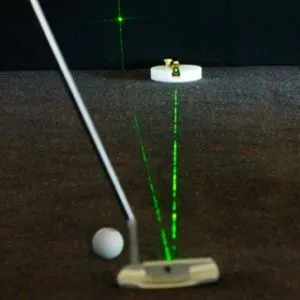 When the ball is removed, the laser beam reflects off a mirrored putter face, then the reflected beam projects onto a black screen positioned vertically behind the projector, showing the difference between the golfer's aim and the actual target. 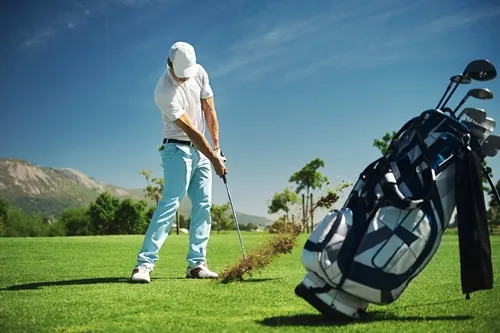 After the golfer's aim is determined, the second step is to find the right fit. This is why the fitter has at their side, a unique system of up to 30 million component combinations made up of various putter heads, hosels, offsets and lie angles to find the combination that corrects for the golfer's natural aim. Once the right combination is found, as the final step, Edel inputs that information to hand-mill a custom putter that's a perfect fit for the golfer. Edel craftsmen use a combination of old-fashioned craftsmanship and modern technology, coupled with the best raw materials in the world, to create a putter that feels right, looks great, and is customized with the golfer's name or other information stamped into the putter.